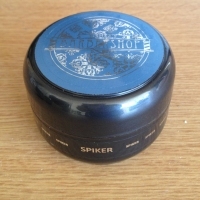 Fisher’s Barbershop has a full range of their own men’s products. 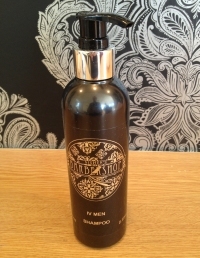 A gorgeously rich and creamy shampoo, perfect for normal to greasy hair. Superb masculine fragrance. 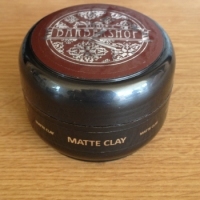 An intensely rich styling cream that dries quickly, in two different ways. 1. If used as a sculpting aid, it will dry to a hard finish, enabling extreme styling (spikes etc) with extreme hold all day. 2. If applied sparingly with damp hands, it will flexibly hold the more sedate style perfectly all day. Water resistant, but easy to wash out. An exceptional quality version of every hairdressers primary styling tool. Excellent light fragrance. Firm styling with strong hold for that natural creative look. 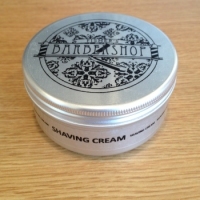 A beautifully moisturising soft shaving cream – perfect for the brush and blade expert. 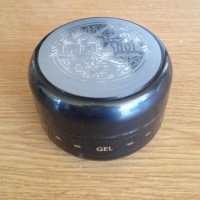 Beautifully cooling and soothing balm – perfect for sensitive skin. 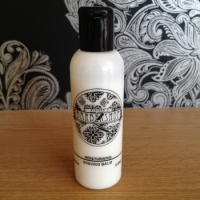 A beautifully moisturising soft shaving gel – perfect for the brush and blade expert. Minimal foaming for a clearer view during shaving. £5 haircuts available from trainee Rachel Wednesday - Saturday.